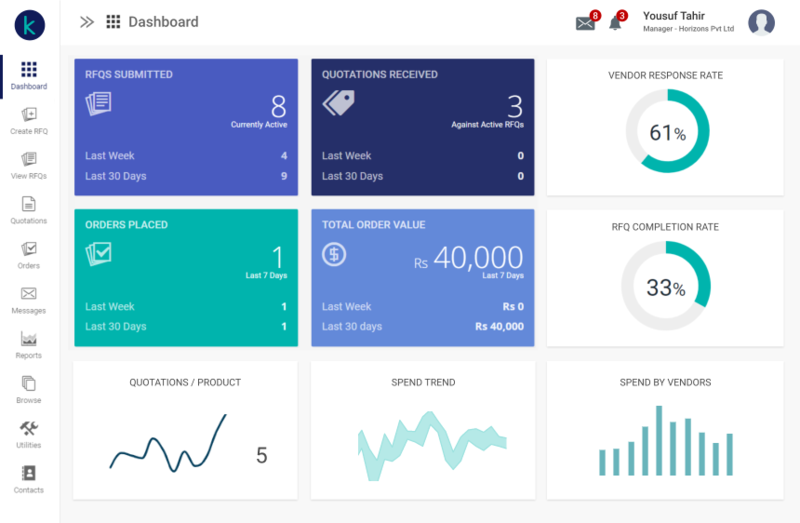 The Prism Procurement module is a cloud-based e-procurement software that makes it easy to request price quotes and compare prices. 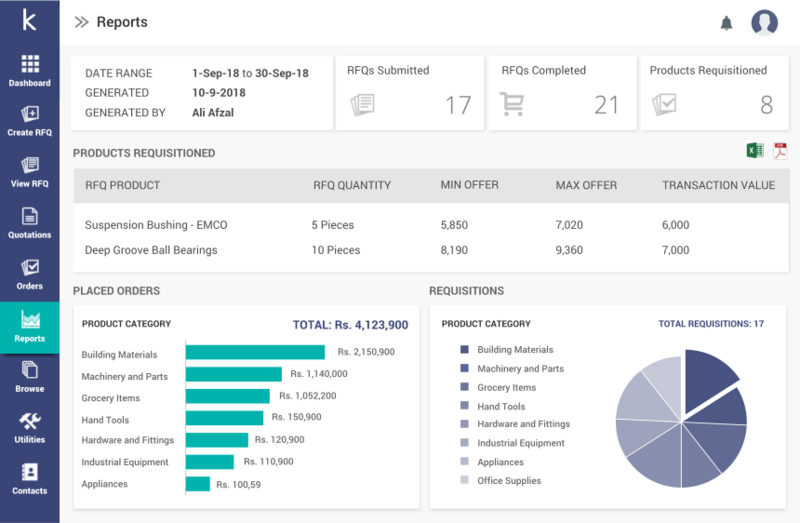 The Spectrum Sales module provides firms with an easy to use ecommerce platform on which they can list and market their products, receive price queries and orders from institutional customers, and enhance their competitiveness through data and analytics. 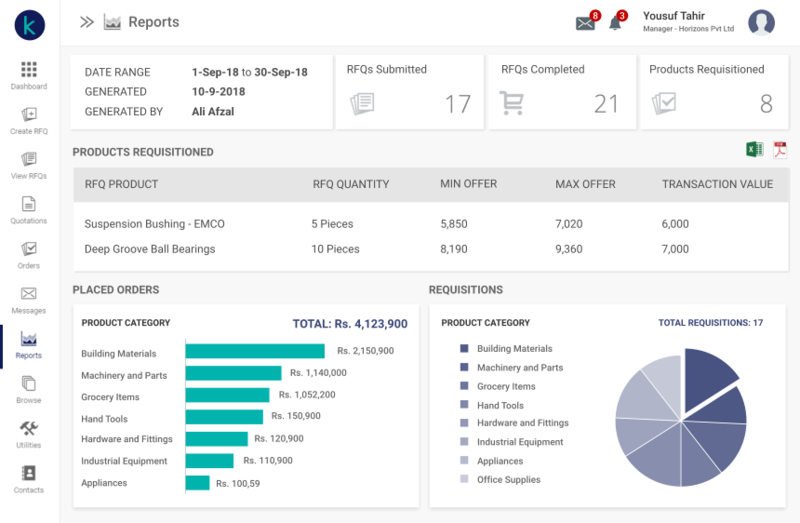 "Khareed makes business procurement simple and transparent. 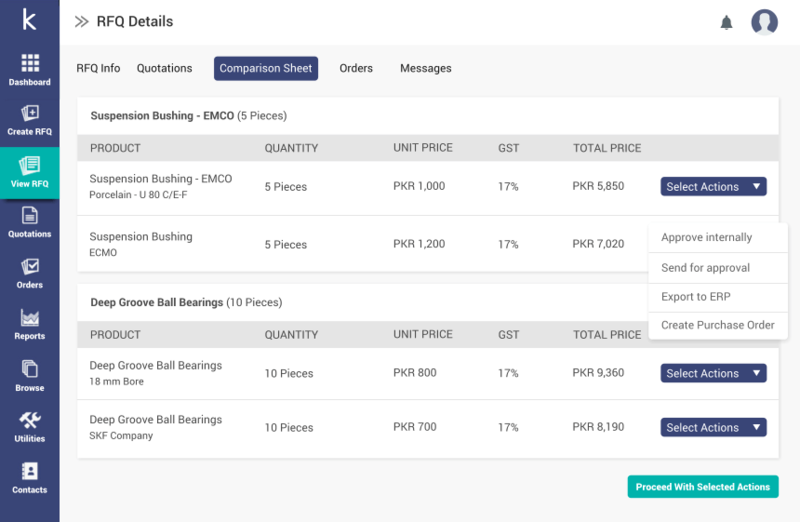 Established in 2015, Khareed has become immensely popular among Pakistani entrepreneurs and small businesses"
"Khareed is a first of its kind e-procurement solution in Pakistan, specifically designed to help small and medium sized businesses reduce costs"
"Khareed has a strong vetting process and offers easy 2-way communication between buyers and sellers, helping simplify the procurement process"
Khareed is an e-procurement software and B2B marketplace that enables companies to connect and conduct their B2B buying and selling. 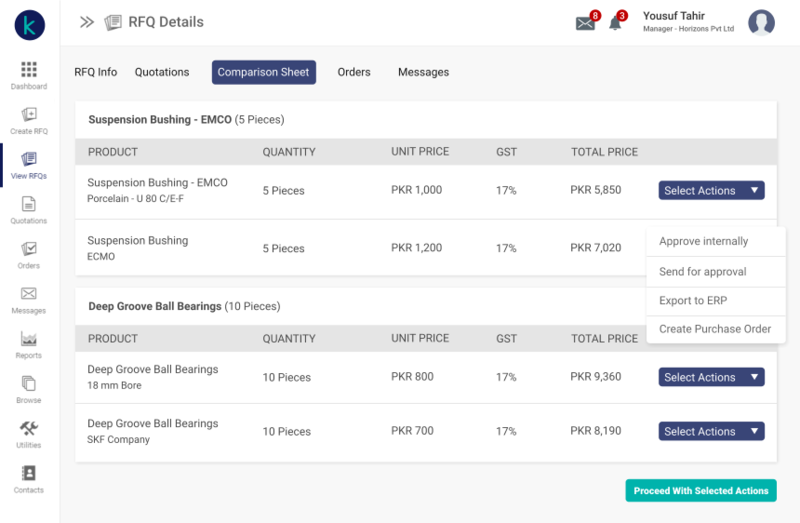 Companies use Khareed to source multiple competitive price quotes for the products they are looking to buy. 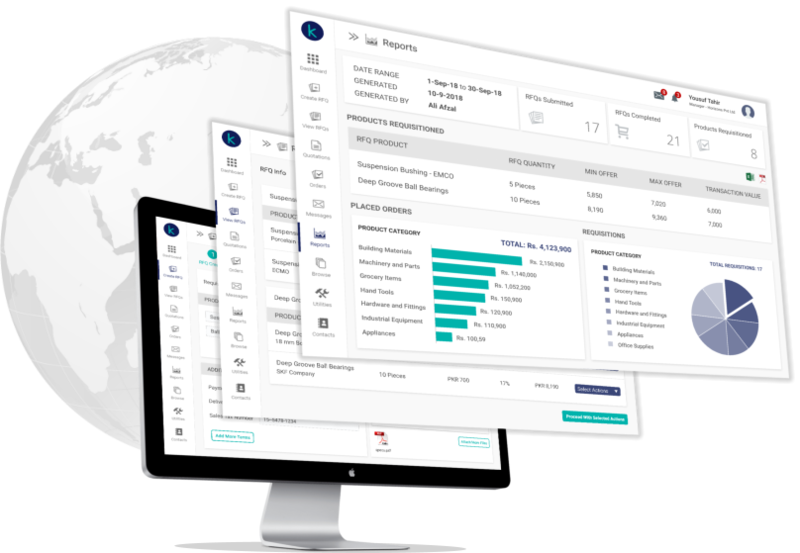 By using the Khareed platform, companies save time in their purchasing process by sourcing products, requisitioning price quotes and placing orders right from their desk. Does Khareed charge a commission on the purchases or sales I make? No. Khareed does not charge any commissions. Our basic versions are free for both buyers and sellers. We charge a software subscription fee only for users of our premium e-procurement solutions. How do I make a payment for the goods I have ordered? 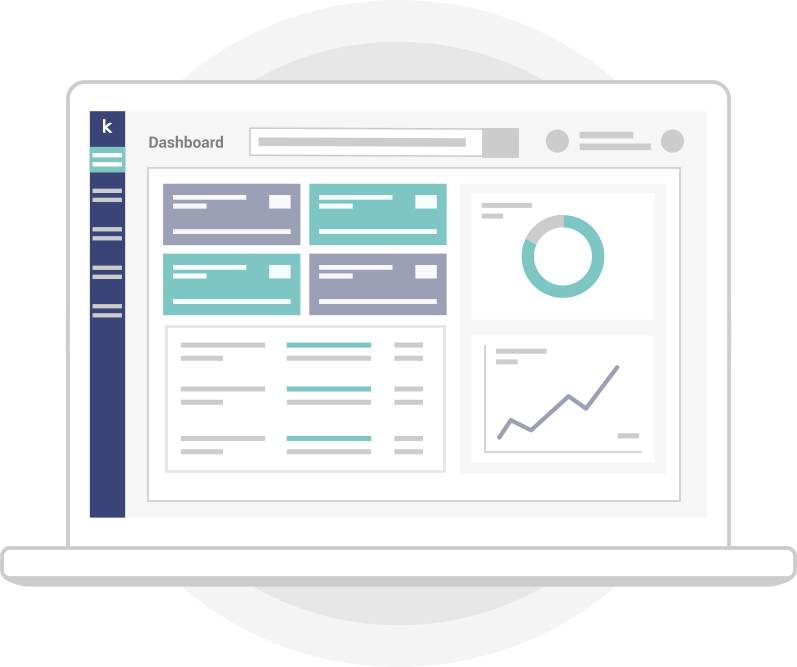 Khareed is a product sourcing and price discovery platform. 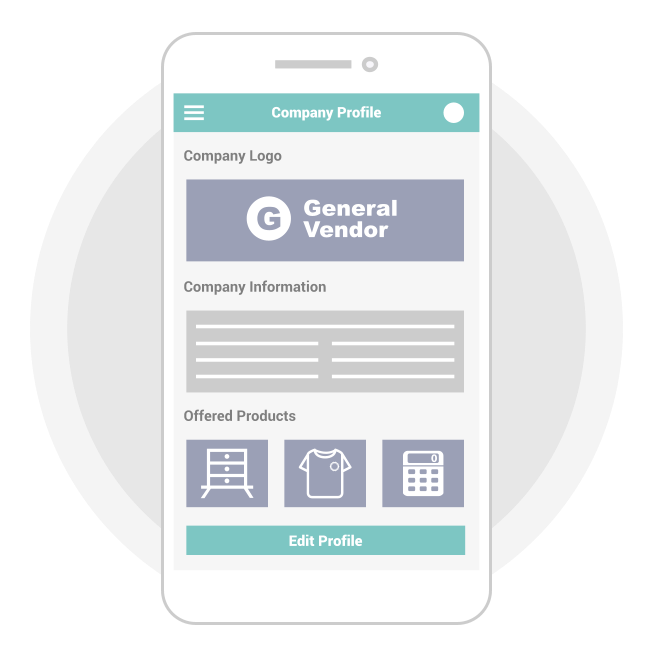 Users communicate directly to each other and once you have settled on a product and agreed price and terms, you can connect with the vendor to arrange payment and delivery. Is Khareed only for companies or can individuals also use Khareed? Khareed is a B2B platform and caters only to businesses. 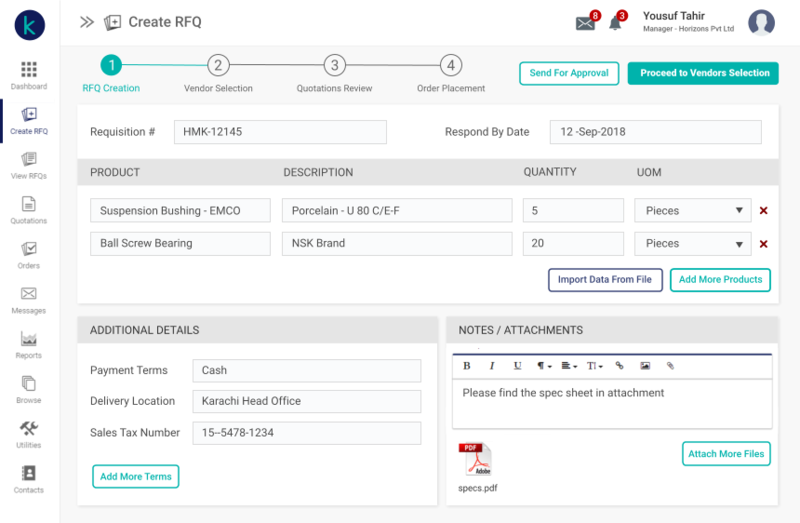 Any company can register to use Khareed for free by providing their company name and contact details and a valid NTN number.